Know a teething baby who drools more than a bulldog? 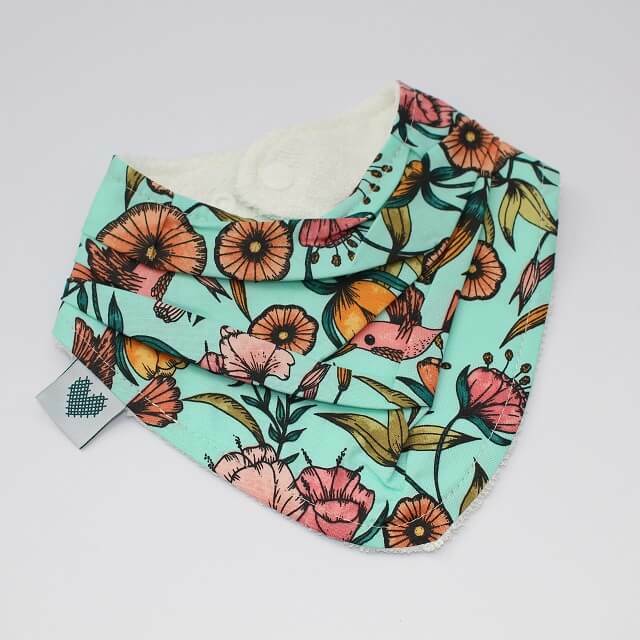 Then this cute bib might be a stylish answer to the problem. 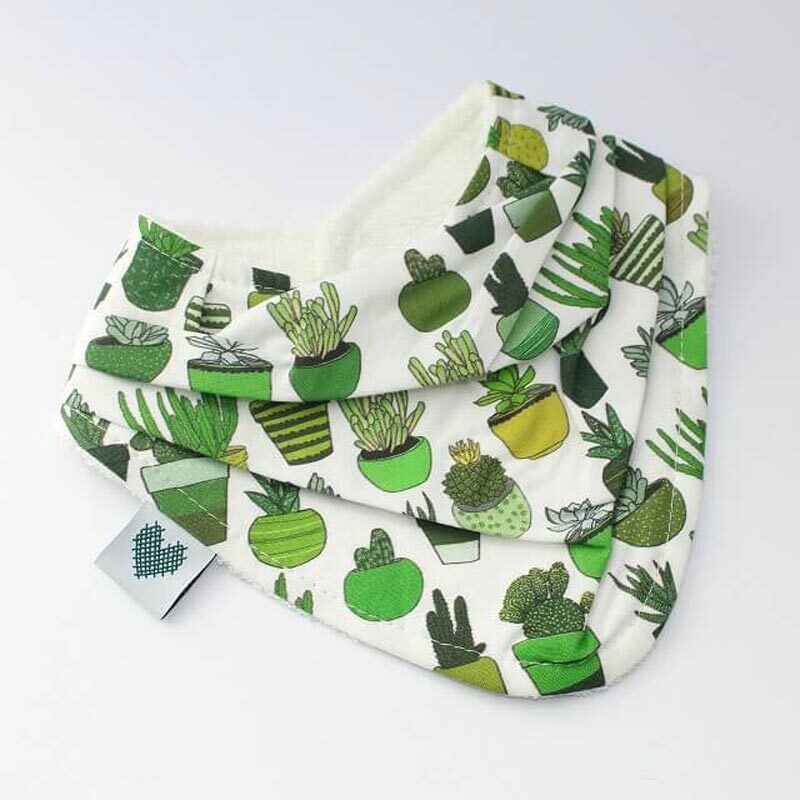 Sure, there are plastic-backed bibs on the market that can stop bub’s outfit from being completely drowned in saliva, but these are not that cute. Thankfully, Aussie designer and mum of a reflux baby (so yes, she 100 per cent gets the drool dilemma! ), Luisa Figueroa, has designed a bib that is both funky and functional. 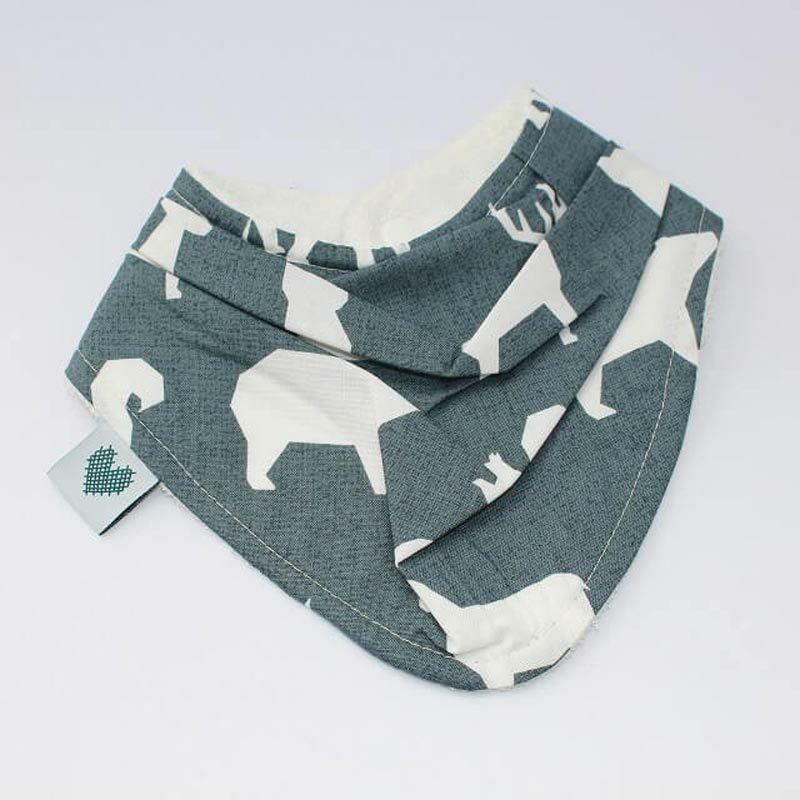 The bandana bib features a series of pleats to catch all that dripping wet from bub’s mouth and comes in a wide range of cool fabrics. There’s also an adorable new koala print coming! 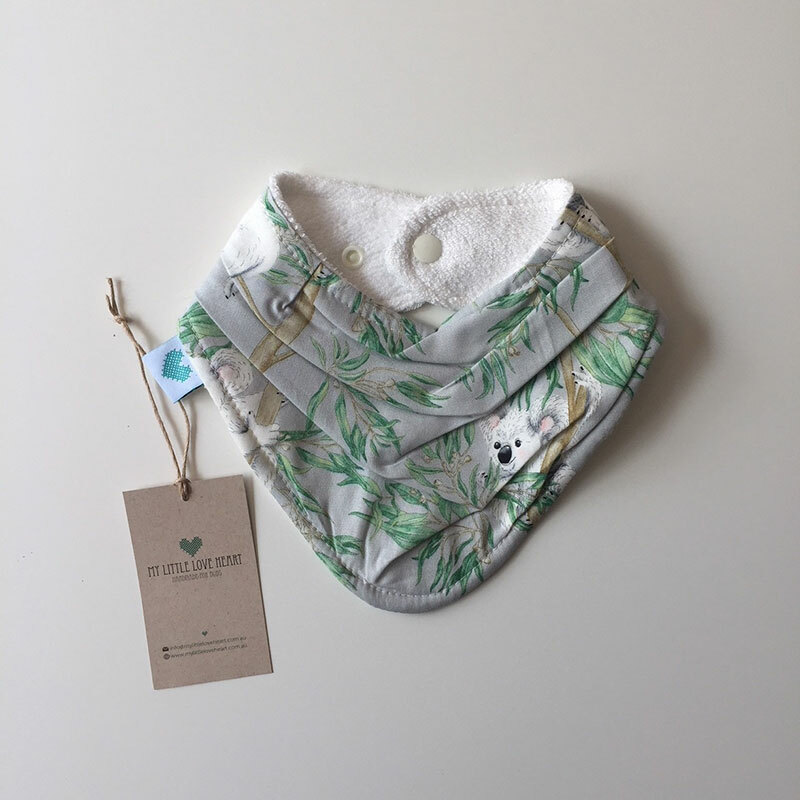 As if these aren’t cute enough, Luisa is adding this adorable Koala print to her range of bandana bibs soon. Handmade in Australia, the My Little Love Heart bibs have a terry backing making them soft on bub’s skin, but also absorbent. Priced at $15.99, The Bandana Bib is available at My Little Love Heart.